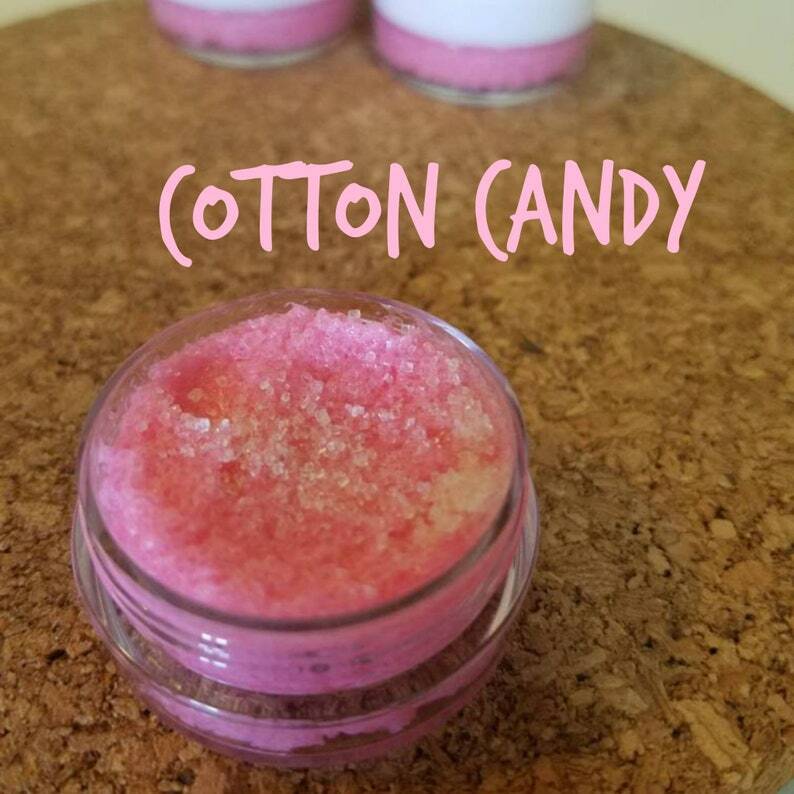 COTTON CANDY Vegan Lip Scrub 1/3 oz. - Great on Dry Winter Lips - Vegan - Organic Sugar -Lip Polish gift for her - cruelty free cotton candy! ♥ To Use: Scoop out a pea size amount of the scrub gentle rubbing on clean lips, rinse off and apply your favorite moisurizing lip balm. Do Not Eat, Stop Using if Irritation Occurs.